Constructed entirely of 316SS, the LV-40 Single Station Level Switch is specifically designed to withstand the effects of a wide range of chemicals. The unit has a maximum operating temperature of 300°F and can be used to meet many level control applications, including medical and water purification requirements. Its small float displacement permits high accuracy and reliability in shallow tanks and reservoirs. The LV-50 Series Level Switches offer superlative performance and dependability under the most severe operating conditions. 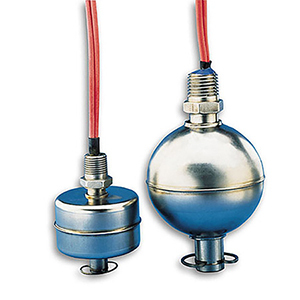 The sensor incorporates a larger float displacement and all stainless steel construction for consistent level monitoring in liquids pressurized to a maximum 750 PSI. Ideal for level sensing in chemical plants and systems, models are available for temperatures up to 480°F. To determine fluid specific gravity, add 0.1 to float specific gravity in clean liquids and 0.3 to float specific gravity in dirty or viscous liquids.